After a brief lull in Caribbean travel, bookings to the land of sun and fun are back big time. 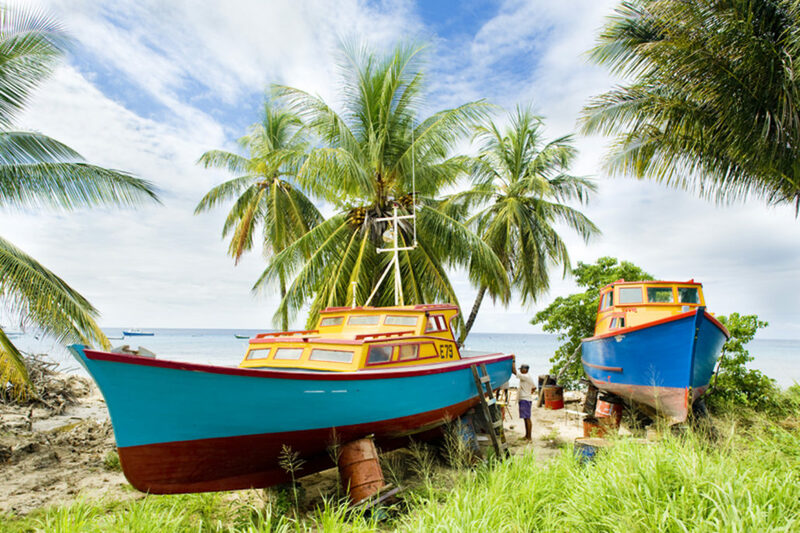 Perhaps nowhere is this more strongly evidenced than Barbados, where new beaches, hotels, festivals and attractions await. Getting there is easier than ever, too, with new flight options from the United States. New non-stops or enhanced service launched in 2018 from Fort Lauderdale (FLL) and New York (JFK), and in December, American Airlines introduced a third daily flight from Miami (MIA), and daily service from Charlotte, N.C. (CLT). Newark (EWR) has new seasonal direct service, as does Boston (BOS) (which includes cushy service like JetBlue Mint). Hotels with teen and kid programs include Sandy Lane, with its own tranquil beach, golf and gourmet dining, but for the kids, there’s a Treehouse Club with supervised activities for younger kids and The Den for teens. This cool chillout space features a lounge with billiards, computers and gaming, plus a jukebox. The whole family benefits from free water sports, along with swimming with sea turtles. At Elegant Hotels, tweens and teens can delight in family-friendly free water sports, billiards and ping-pong. The Teens Club at Tamarind also features disco dancing, Wii, air hockey, fitness classes and flat-screen TVs. 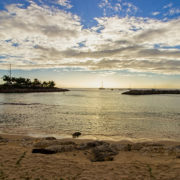 Sea Breeze Beach House includes access to three swimming pools, water sports, upscale dining experiences and acres of pristine beaches, with swimming, snorkeling, surfing and kayaking. The Kids Club features treasure hunts and arts and crafts, while the teen facilities have movies and video games. 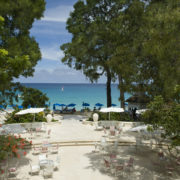 For parents looking for a getaway, Sandals Royal Barbados, one of the island’s newest 5-star hotels, delivers. 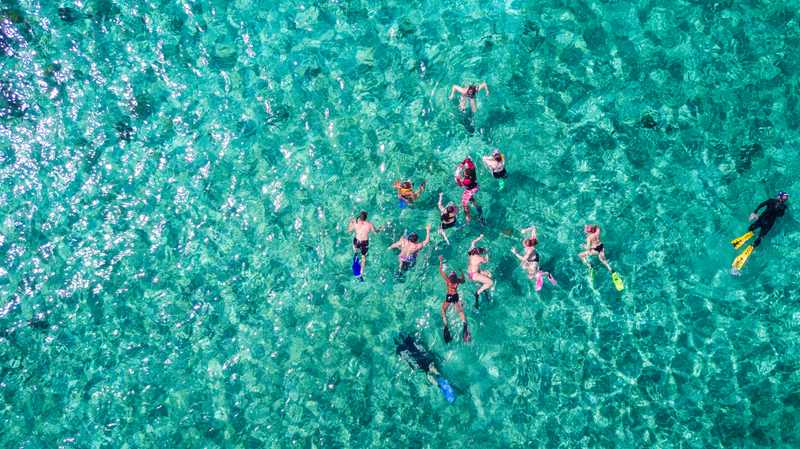 All stays include unlimited wine and spirits, water sports (including Scuba diving, with all equipment included), airport transfers, all meals (with fine dining at seven restaurants), and tips and gratuities. The brand has its eyes on the prize, with construction currently underway on its third resort on the island, Beaches. The 400 all-inclusive rooms will be located on the north side, just 2 miles from the second largest city of Speightstown. Brand-new Abidah by Accra is scheduled to open in 2019. The adults-only, all-inclusive boutique hotel on the South Coast offers quick access to Enterprise Beach, a locally sourced gourmet menu and lush surroundings with a garden and greenery. Wyndham Grand started construction on a 450-room, 5-star hotel in St. Philip; it will feature a spa, conference facilities and 20,000 square feet of convention space, set to open in 2020. Hyatt is slated to open two 12-story towers with 190 rooms total in historic Bridgetown. One of the most exclusive tickets in town is access to Virgin Atlantic and Virgin Holidays’ new waterfront lounge known as Browne’s Beach (opened in late 2018). The first-of-its-kind departure lounge lets Virgin customers spend their last hours on the island soaking up the sun, with seaside facilities so you don’t board the plane covered in sand. You can even check in for your flight and drop off your bags, with pick-up and drop-off for airport transfers. Showers, changing rooms and food and non-alcoholic beverages are all included. Speaking of alcoholic beverages, Barbados is famous for its Food & Rum Festival (Oct. 17–20 this year), but late last year also saw the opening of the island’s first Rum Vault. Opened as part of the Colony Club’s 70th anniversary, the Vault has the largest collection in Barbados with 150 varieties sourced across the world. It hosts mixology events, cooking classes and rum and chocolate pairings. Other fun festivals include October’s Jazz Excursion (10–14); International Hockey (in August, no less 18–24); Dive Fest (July 3–7); Golf (May 3–5); and the Oistins Fish Festival (April 20–22), held over Easter weekend annually with fresh fish and delicacies grilled, fried and drizzled with the singular tastes of Barbados. For more festival information, click here. It all means there’s plenty to do throughout the year, and there’s one more fun experience to add on now. The Heritage Railway opened earlier this year, thanks to St. Nicholas Abbey, offers a journey on a restored German steam locomotive through the plantation fields and mahogany woods that ends with expansive and breathtaking views of the east coast of the island from Cherry Tree Hill. https://whereverfamily.com/wp-content/uploads/2019/04/dreamstime_s_13820350.jpg 1080 1621 Carley Wade /wp-content/uploads/2017/08/WhereverFamily_logo_green_tagline-2.png Carley Wade2019-04-14 09:00:112019-04-08 12:59:37Why Barbados, Why Now?